We're glad to give you more information! Here are some more pictures. I will try and send one of him in harness pulling my husband on our super-sized scooter. It's a sight to behold. Keep producing those great dogs! 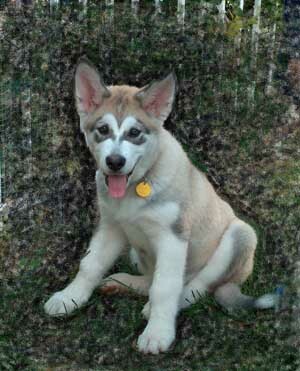 Here is a picture of Kodiak -- you'll see that he has gotten SO big. In this picture, he is asleep on the carpet with our daughter. She is using him as a pillow and he doesn't mind a bit! We get compliments everywhere we go with him-- he's such a nice dog, and is really good with smaller dogs and children (it's that mild temperament). The smaller dogs play with him at his doggie daycare and it's like watching 'Gulliver and the Liliputians.' They sort of swarm over him-- he lays down and they run all over him! 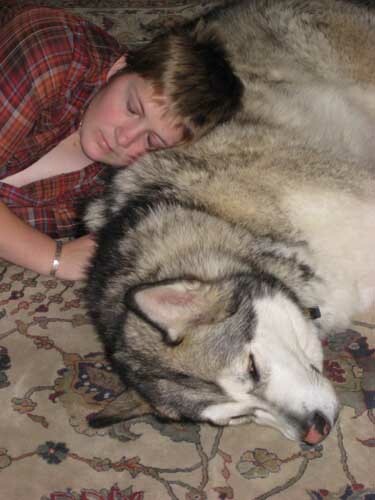 He also loves to wrestle with the larger dogs; there's an Akita that is his special friend. 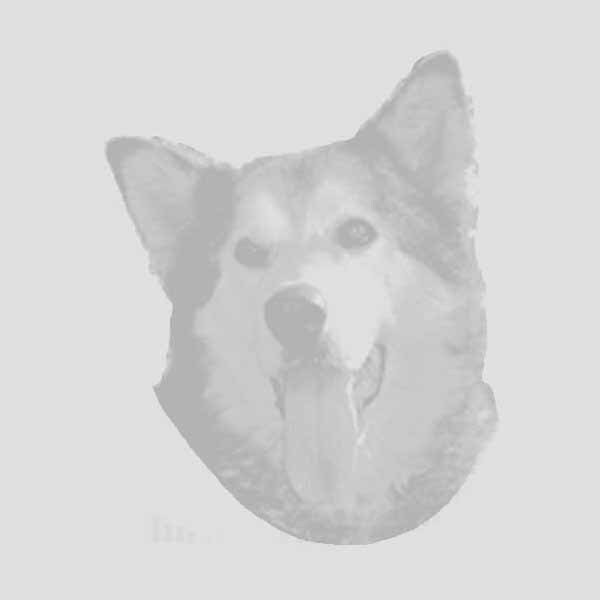 Keep up with the good work -- we love our giant, gentle dog! It's been a while since I've updated you. 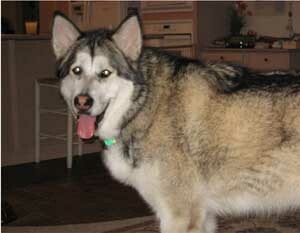 We are still delighted with Kodiak (Sumo x. Zawarah -- born May 27th 2006). 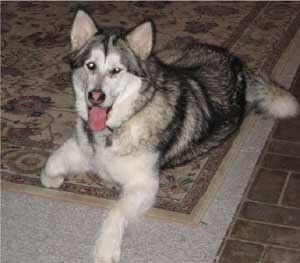 He has grown into a fabulous dog-- smart, funny, and very sociable with our other dog, Tristan. He love kids and is happy to meet anyone, anytime. He goes to a doggy daycare place near our house, and all his furry friends are so happy to see him-- and he plays with them all. Here are some pictures so that you can see how he has grown. 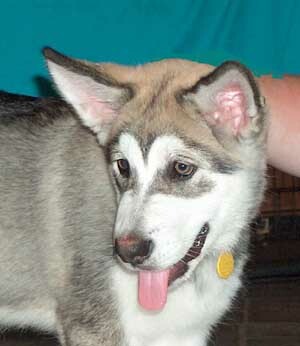 I'm attaching a puppy picture showing his facial markings, and a "teenage" picture so that you can see the changes. 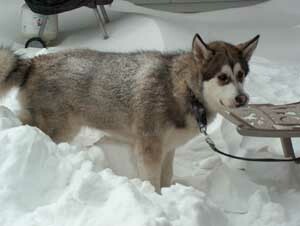 Also, a winter "snow dog" picture, and another, taken just last weekend. I was making a funny noise, so he tilted his head ("What are you saying?"). His winter coat just shed and he's looking pretty stylish now. 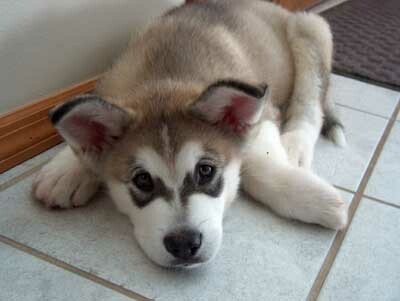 We view your website daily to look at the new puppies-- sooooo cute! You must be very busy with all the new puppies-- hope everyone is doing well. 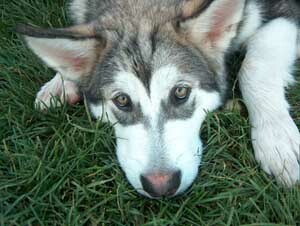 Here are several pictures of Kodiak (Sumo x Zawarah born May 27) for you. His coat is coming in darker and darker, grey and black with tan trimmings. He's really beautiful and gets lots of compliments wherever he goes. AND -- he's a real sweetie. My daughter (who sells artwork commercially) has done a sketch of him. Here's the link!